The NEW IT Alliance has been busy since our meeting in May! We’ve brought on additional members, gone live with our website (newitalliance.com), and been working on our social media presence – check us out on Facebook and LinkedIn! Our job board is live on our website, featuring open positions with our member companies. Ten companies are currently listed on our job board, representing 40 open full time positions and 4 internships in Northeast Wisconsin. Don’t miss out on the NEW Connect IT event scheduled for November 7! This first of its kind regional job and career fair, organized by NEW IT Alliance, is dedicated to connecting students to IT career pathways, and connecting employers to immediate and future employees. Come meet your IT workforce! Learn more at newconnectit.com. This spring, Microsoft brought their TEALS program to local high schools. TEALS is an initiative to bring computer science to every high school by pairing classroom teachers with IT professionals to deliver AP level computer science classes. Two schools in the Milwaukee area and ten New North high schools registered for the program and reworked their class schedules in order to participate. New North schools involved in the 2017-8 TEALS program include Denmark, Appleton East, West and North, Hortonville, Kimberly, New London, Oakfield, Preble, and Pulaski. Nineteen IT professionals from seventeen New North companies, including IT Alliance members J. J. Keller, Oshkosh Corp., Thrivent, and Secura Insurance are volunteering 200 hours of their time to help local students learn more about computer science. Amplify Oshkosh kicks off their new season on September 7 with Paul Hager, one of America’s most respected Technology Futurists, will be speaking on A.I. Trends in Technology. Women in Technology launches their third year with a bang! Check out their breakfast series line up on their website witwisconsin.com/events. In September Tony Wickham kicks things off with Winning With Teams. In October, Microsoft’s Brad Smith talks about Digital Inclusion: What this means to Northeast Wisconsin and Beyond. 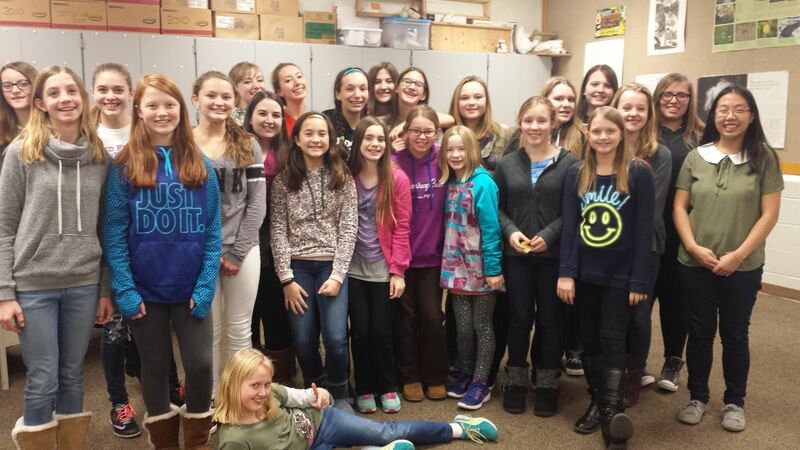 WIT4Girls will be kicking off 8 clubs this year in various school districts, with Oshkosh hosting three clubs. The WIT4Girls clubs aim to introduce girls to the variety of careers within IT, while the Girls Who Code clubs aim to help girls explore the joy of coding. Contact WIT to learn more about getting a club started in your area. Megabites is looking for volunteers! This program is a collaborative effort between Fox Valley Technical College and the Boys and Girls Club of the Fox Valley. Their goal is to get kids from 3rd to 12th grade interested and excited about careers in IT. Each program consists of two 6-week long sessions, one night per week from 3:45 – 5:30 at one of the Appleton Schools. They are looking for two different types of volunteers: instructors and instructor aides.